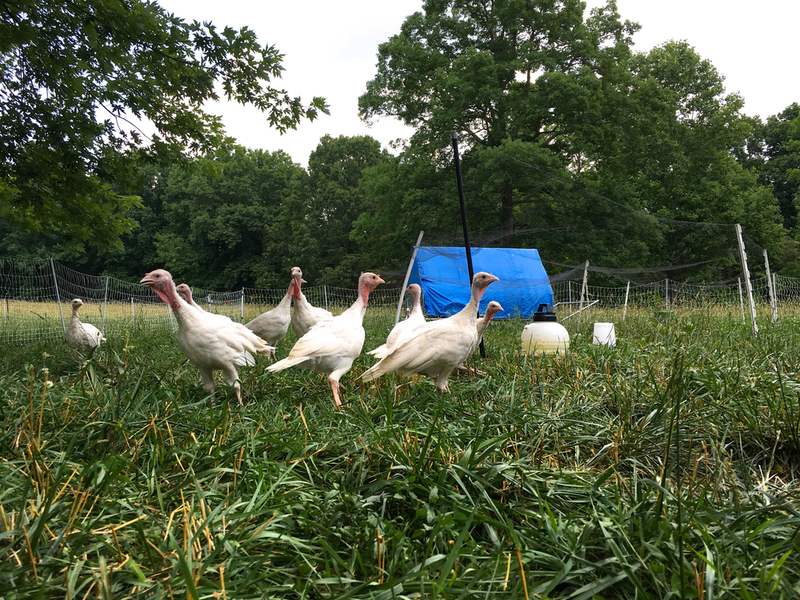 Our chickens, turkeys and ducks spend their lives hunting for bugs and special greens in our pastures. They are supplemented with locally grown and mixed non-GMO grain feeds. They have mobile coops that are moved frequently to ensure they live in a clean, healthy environment. We would let them free range but the predator situation in our area requires that we keep them in fenced areas. The exercise, sunshine and clean air they get in their large pastures allows them to grow and develop the way nature intended and they produce bright yellow yolk eggs and very tasty meat. Eggs from pastured hens have higher levels of omega 3 fatty acids and vitamins A and E. The chickens are not fed antibiotics or hormones. 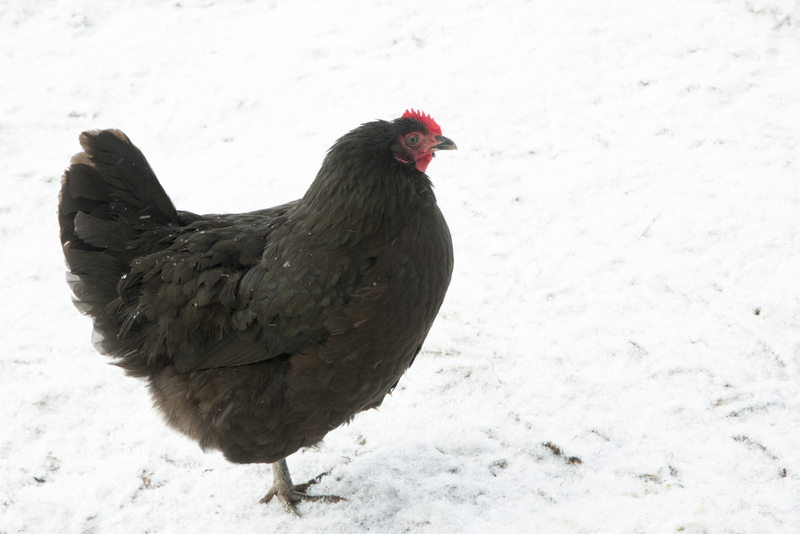 We currently have heritage Rhode Island Red, Black Australorp and Barred Plymouth Rock hens in our laying flock (plus a few assorted fun breeds), Freedom Ranger chickens (a French based cross) for meat, White Midget Turkeys and Muscovy Ducks. We sell farm fresh eggs. Chicken eggs are available year round, duck and turkey eggs are available seasonally. We raise our family's chicken, and generally have some poultry meat for sale during the summer and fall. Our poultry flock is NPIP certified. This involves twice yearly inspection and culturing by the State Veterinarian to insure flock health. With our certification, we can market live poultry and hatching eggs and we do that from time to time.